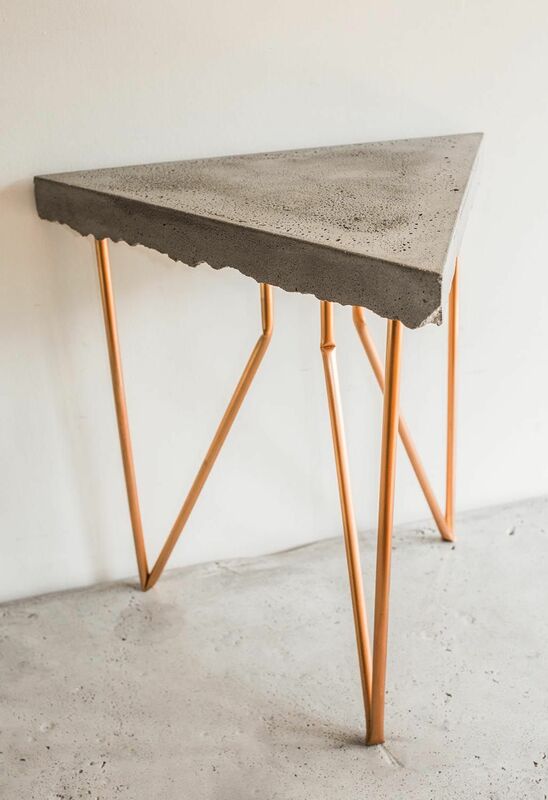 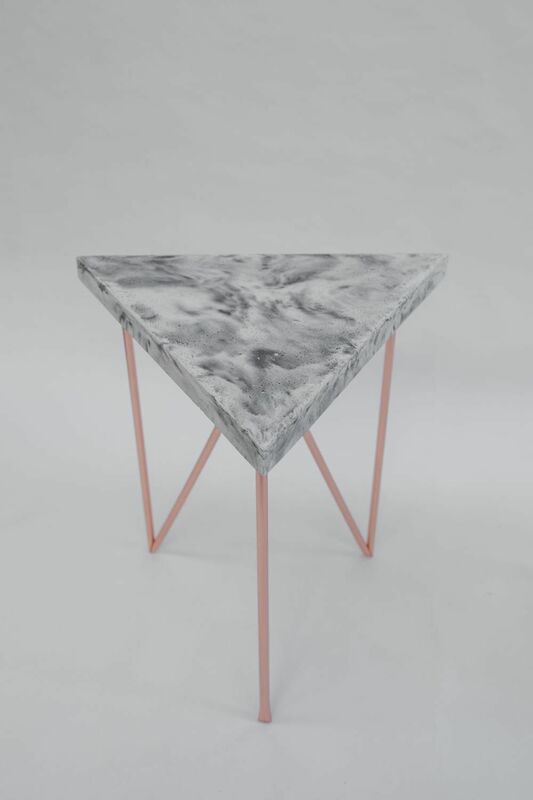 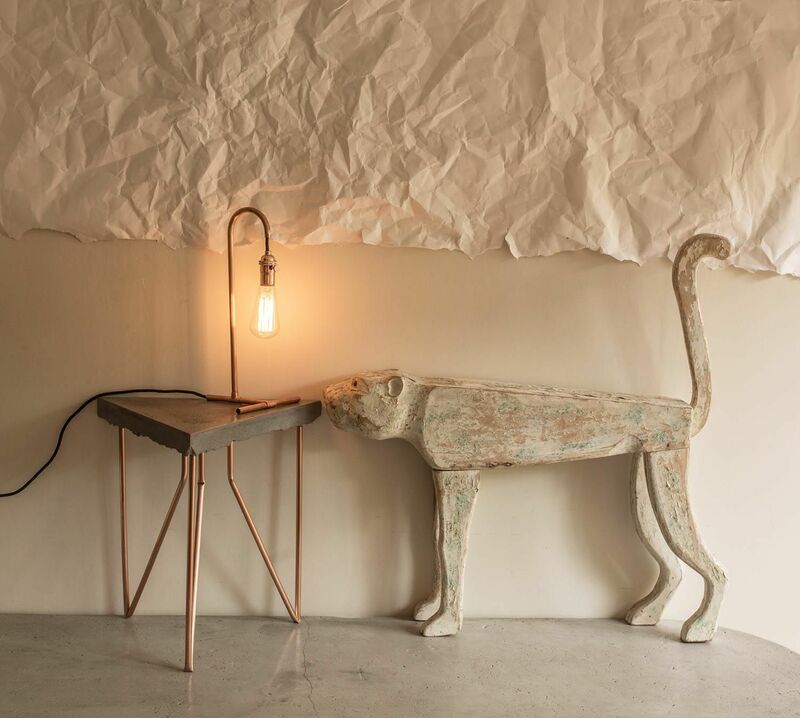 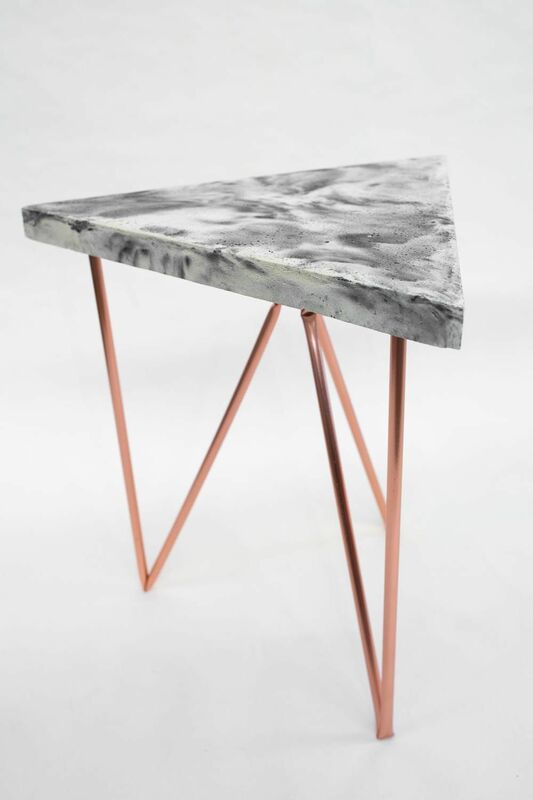 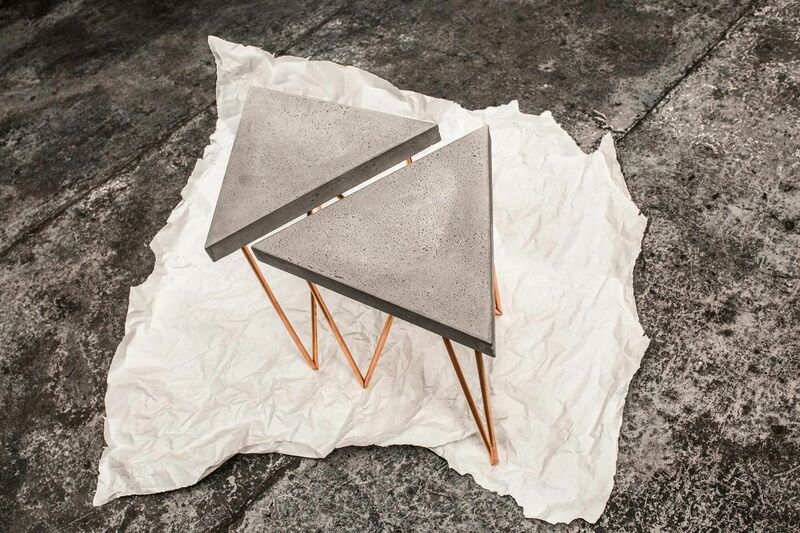 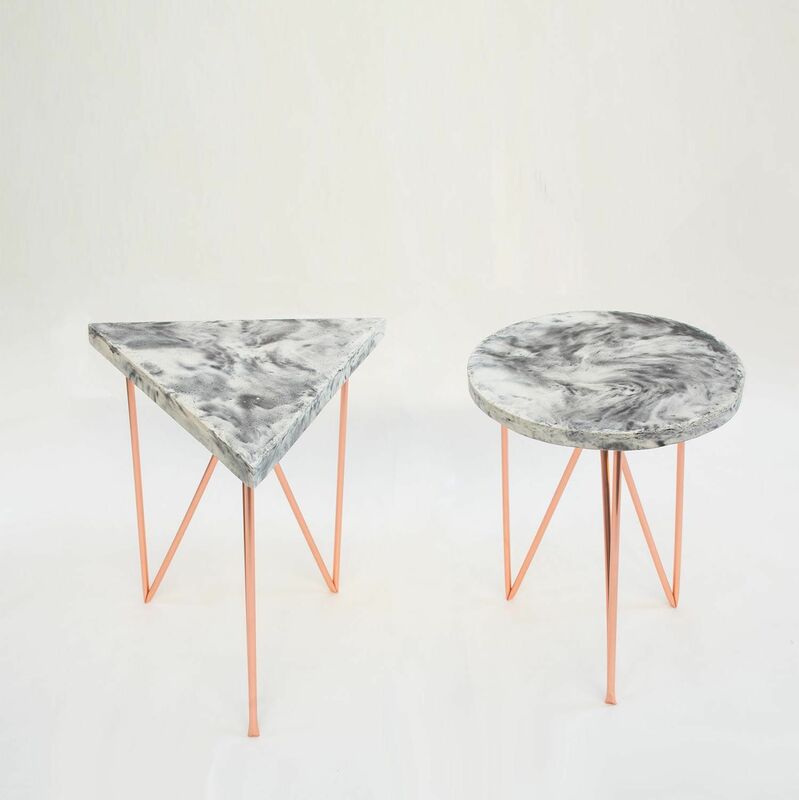 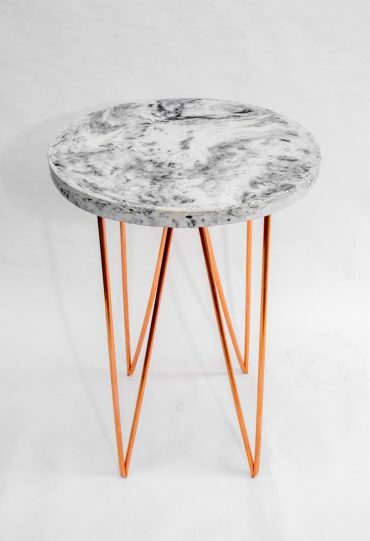 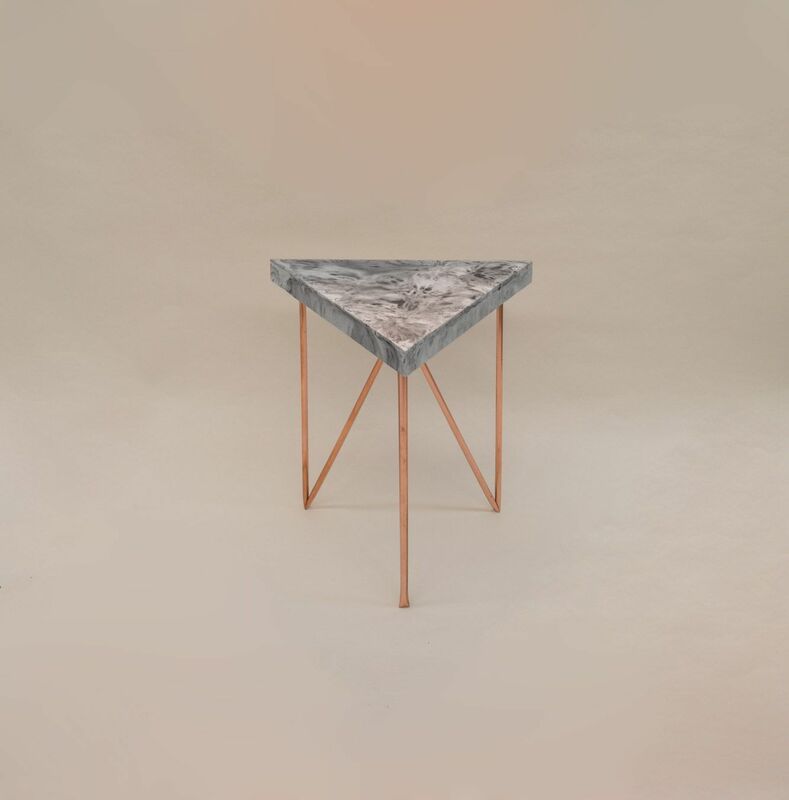 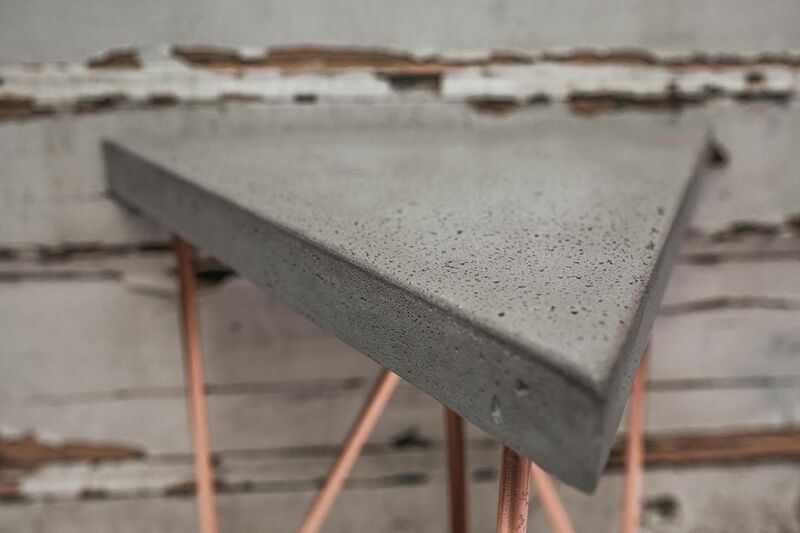 Side tables made in concrete with 3 copper legs. 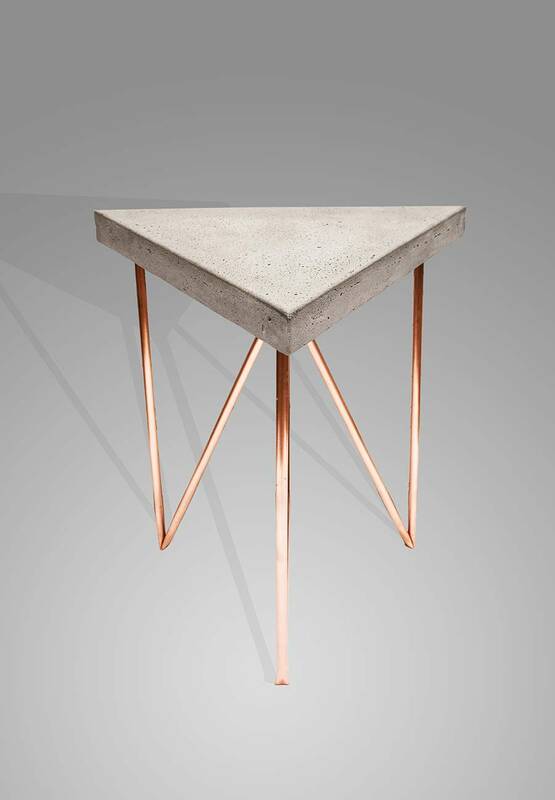 This table is 40cm sides and 50cm high or could be customised to any other size. 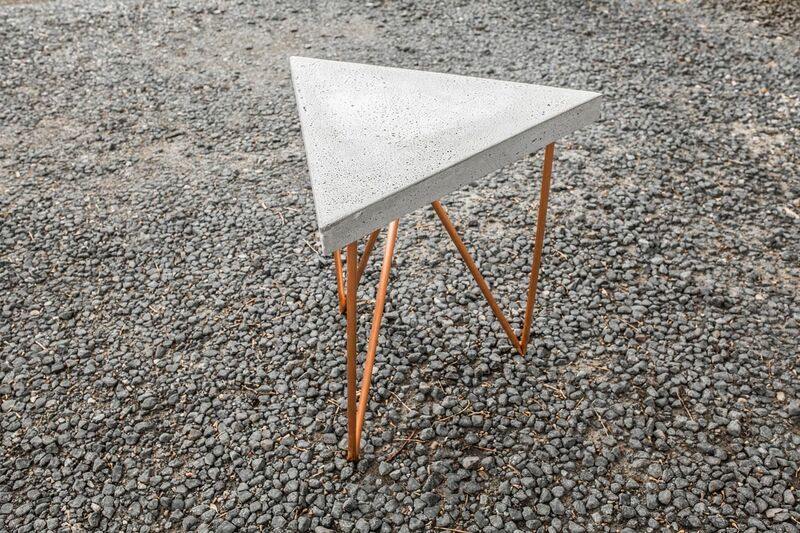 Triangle top made in lightweight concrete, triangle legs made in copper. 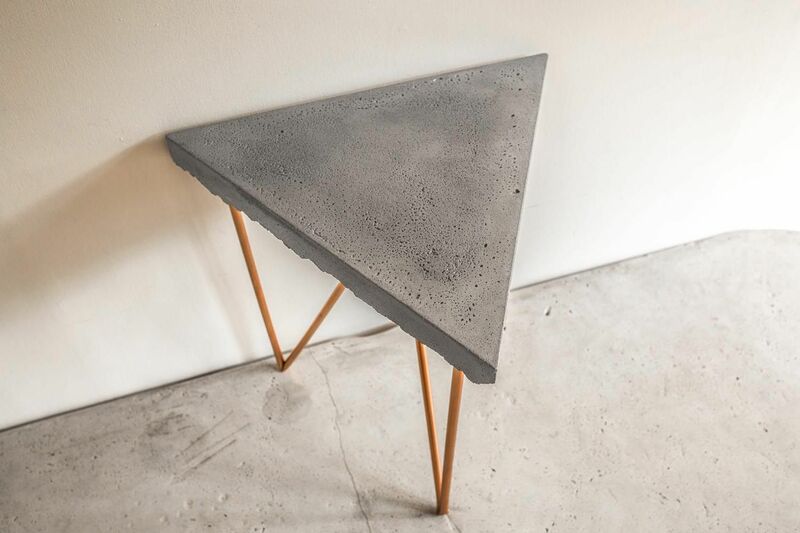 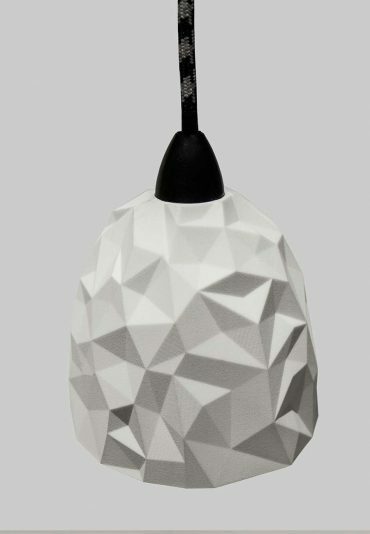 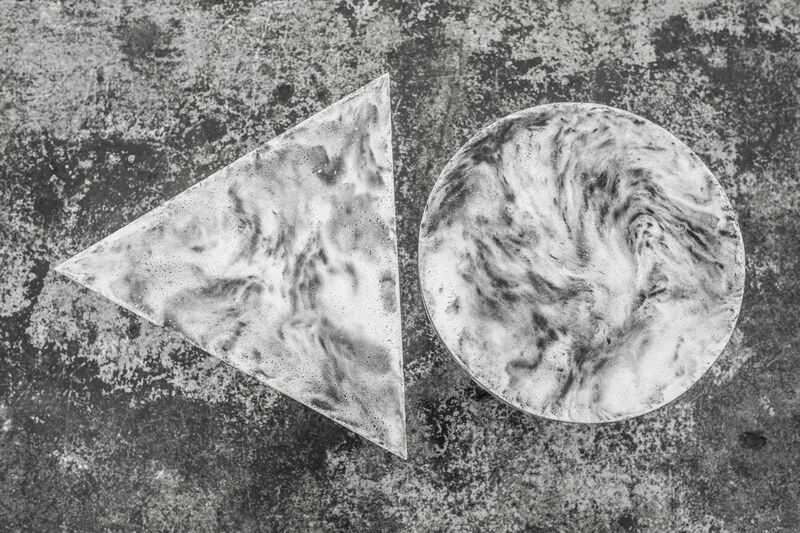 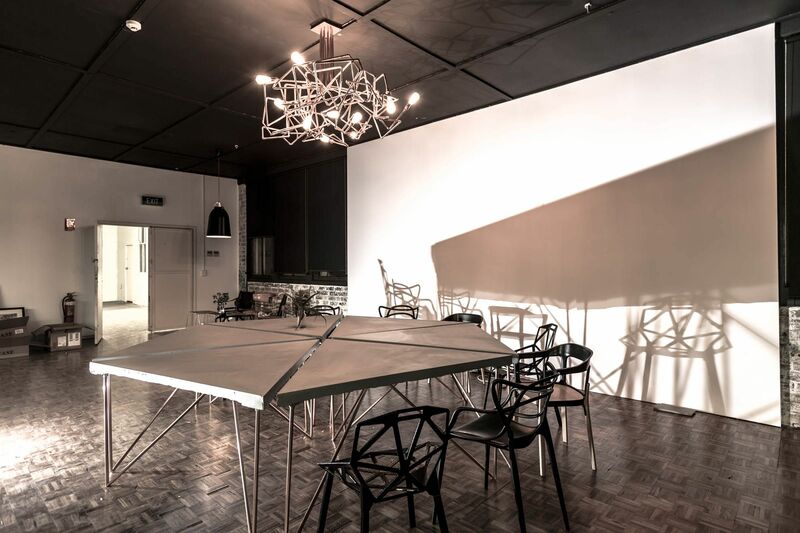 Triangles are a simple shape, nonconformist that can offer modularity to any space.